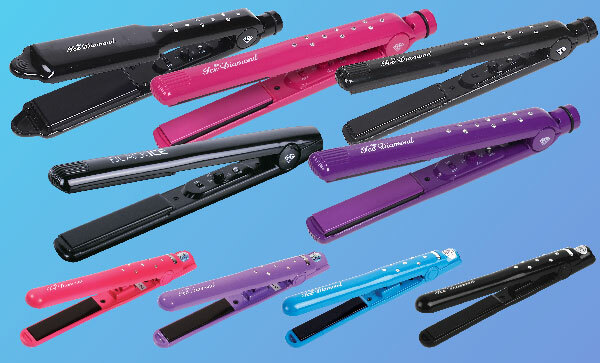 Ice Diamond is a high quality professional salon styling range that is available at an affordable price. It is developed exclusively in the UK and was created to offer professional stylists and a range of premium hair styling tools using the latest up to date technology. Our products are one of the worldwide leaders in hair styling and are designed to meet the demands of the rich, diverse world we live in today. Our unique design with diamantes add’s a bit of bling and luxury so whether you want luscious curls or silky straight hair we deliver with style! Please take a few moments to sign up to our exciting newsletter about the latest products & technology, styling innovations & special offers.